AMG Technology was founded on the principles of innovation. We seek to provide innovative and smart solutions in every aspect of our business. We represent unique innovative solutions that impress and are easy to use and understand. 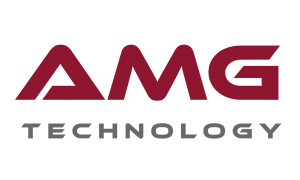 AMG Technology LLC is a leading provider of software solutions in the USA, UK, Middle East, and Africa. It was founded on the principles of innovation. AMG seeks to provide innovative and smart solutions in every aspect of our business. AMG represents unique innovative solutions that impress and are easy to use and understand. AMG strives to exploit the benefits of technology to enhance education and improve learning results by providing innovative solutions that suit modern methods of learning. AMG envisions a future in which educational institutions and organizations reap the benefits of the latest technology for a more beneficial, productive, and enjoyable learning experience for students around the world. Read reviews and discover other eLearning Industry community members's experience with AMG Technology LLC.